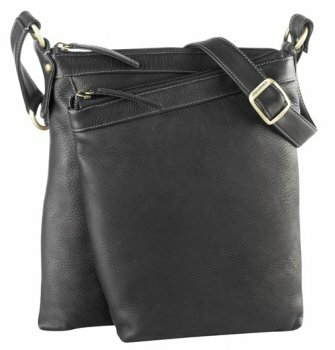 This bag is versatile and such a great quality. The main compartment is an open style pocket with a top zip for security and has room for a small day planner, small book and room to spare. The second compartment at the front of the bag also has a top zip and consist of an organizer. The organizer has 8 credit card slots, two drop pockets, and a narrow sleeves for pens. Next you will find a pocket on the front exterior of the bag with a hidden magloc. 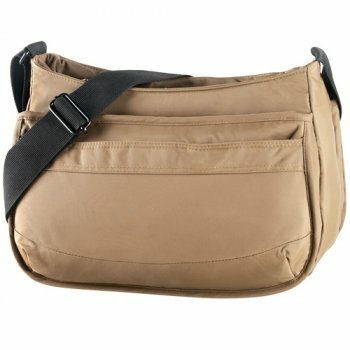 This pockets is a great place for items you want easy access to such as your cellphone/PDA, keys or camera. On the rear exterior is another pocket with a top zip. This is great place for items you want secure and easy access too. Here you may carry your passport along with a few other items. 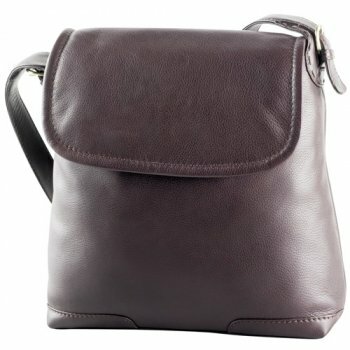 This bag come’s with a wide adjustable strap for a comfortable fit.